Good morning my friends. I hope you have all had a good week and are off to the start of a fun weekend. 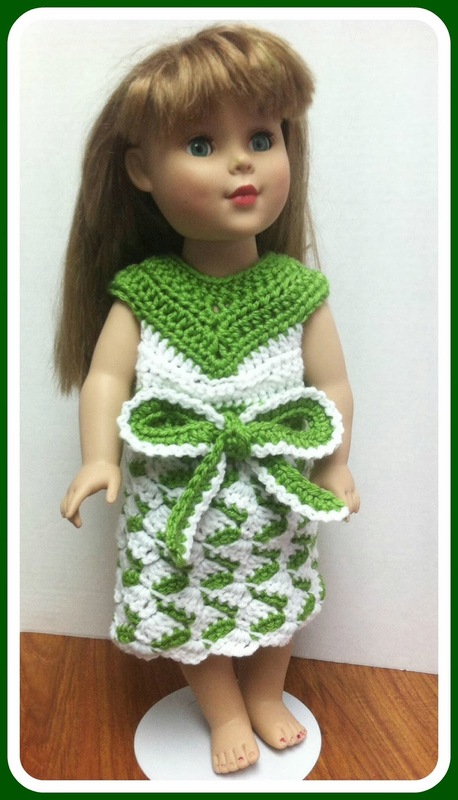 I will be starting my Crochet-A-Long on Monday. There will be quite a few of us working together and I can't wait to see your end results! 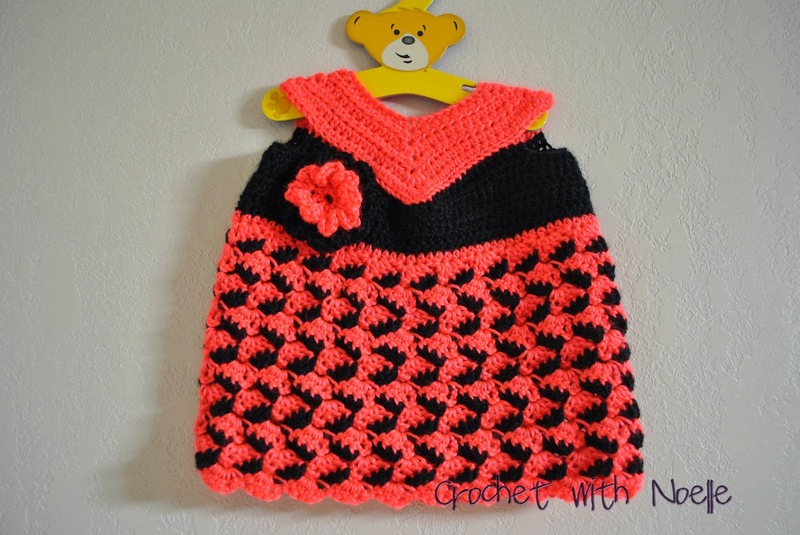 This project is gender neutral and can be made in various sizes. 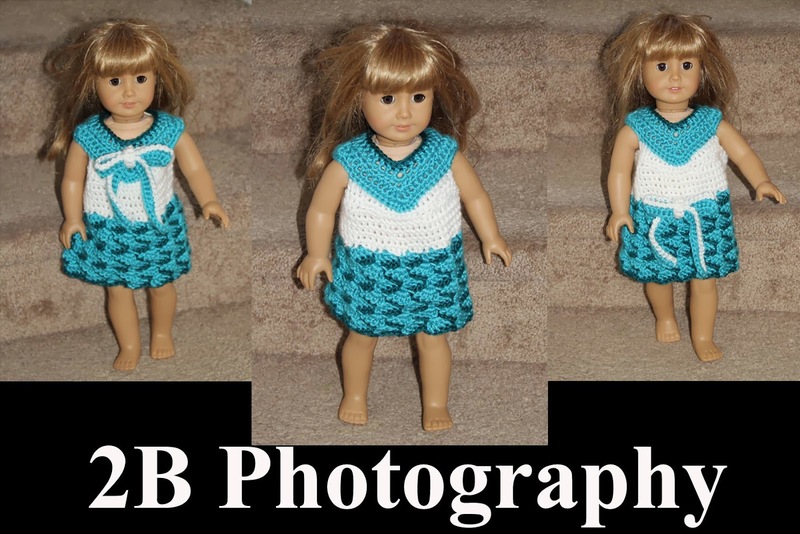 I will post 1 section of the pattern each day on my blog until we reach the "repeat" sections and then I will give you a few days (or more if needed) to work through those. 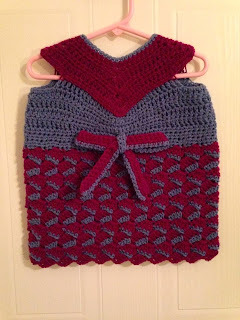 At the end of the CAL, I ask that you post a photo of your project on my FaceBook page and msg me your email address or Ravelry ID and I will "gift" you the PDF pattern for your keeping. So, Let's get started! Here is a list of the materials you will need. 1. Your first color needs to be dark. 2. Your second color needs to be a lighter shade of your first color. 3. Your third color needs to be a neutral. Hook size: H (this is what I use, but again, you can use the hook size you are most comfortable with as the pattern will work for any size. This is a great way to go through some of that stash that you've been hiding under your bed. Or maybe in the closet? Mine is all over the place since I have a small house and not enough storage :) And if you don't have enough in your stash, well, now you have a reason to go shopping - right? This week you will meet the talented Miss Jennifer of Hatch-ed With Love. 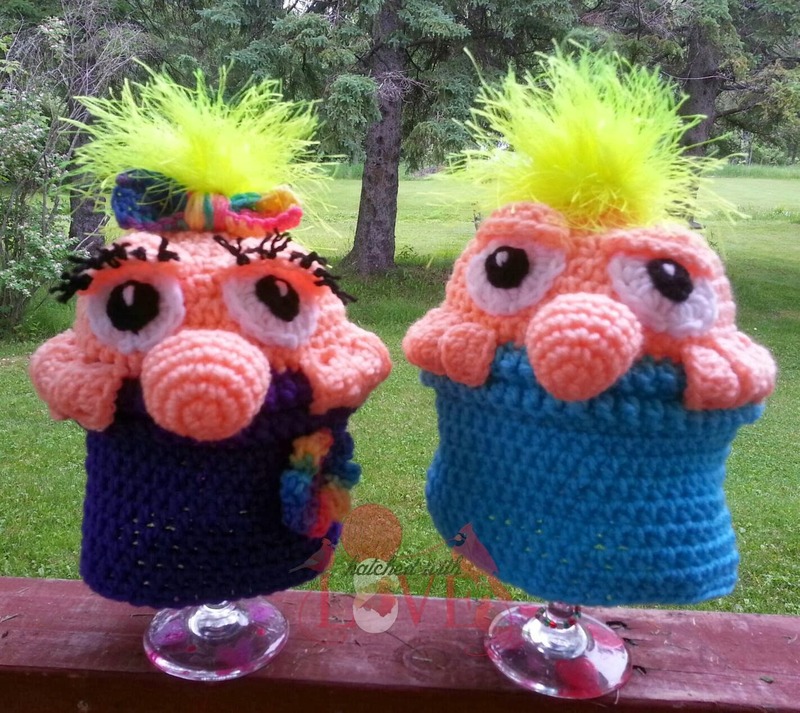 Jen is another crochet designer with some really fun patterns! 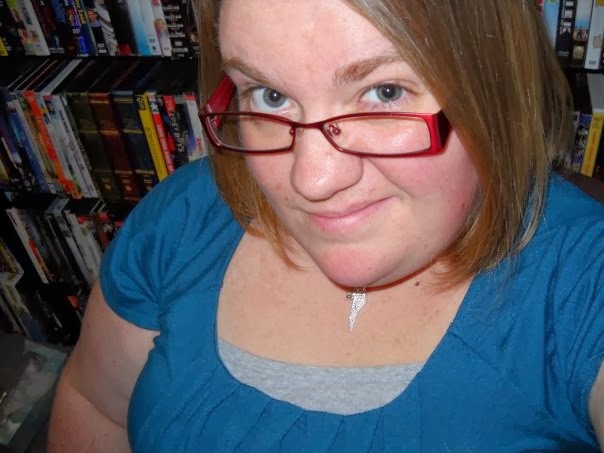 Take a moment to get to know her a little better and visit her site. 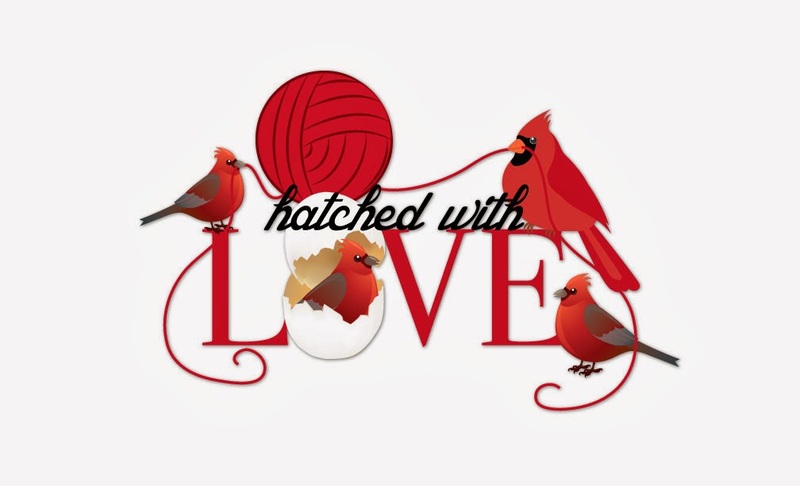 What is the main focus of Hatch-ed With Love? My main business focus is pattern writing!! 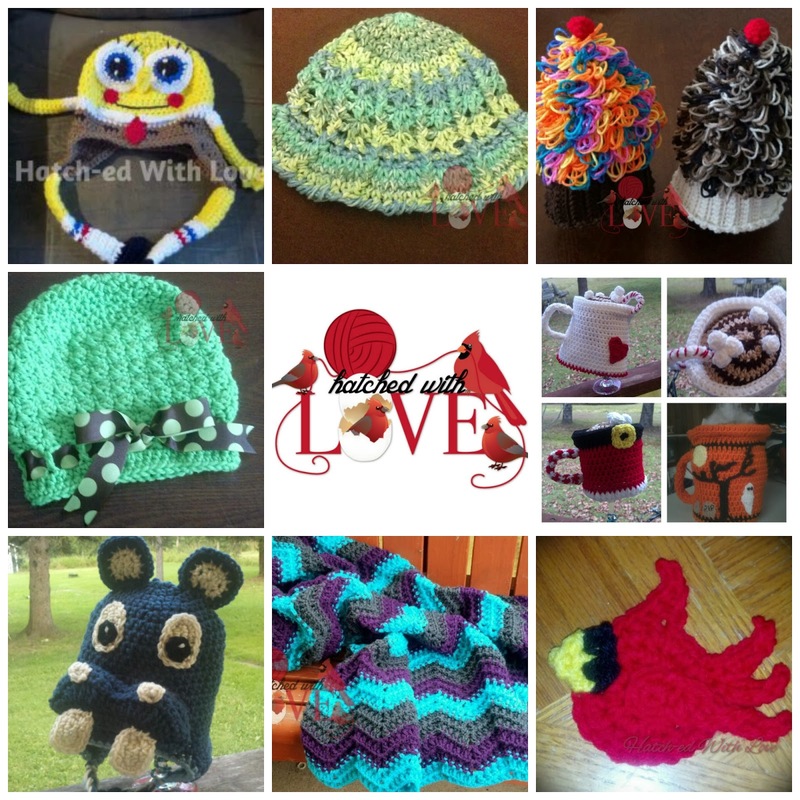 I began as wanting to sell my handmade things but more people were interested in patterns. After I finally gave in and wrote up my first pattern, I was hooked!! I never thought I would be able write patterns that would sell, so I never tried. I love learning and there is still so much I want to learn!! My greatest accomplishment would be starting my page and getting my name out there. My grandma always told me that I needed to sell my things. I had no idea on where to begin, after she passed away in 2011, I went searching for a way to get my name out there. Facebook pages were just starting to become popular, my cousins girlfriend told me to start one. I told her that if she could think of a catchy name then I would do it and that is where Hatch-ed With Love came from. And is my biggest accomplishment to this day!! Something I struggle with.. everything!! I'm bad a time management, I'm bad at writing notes down, I'm bad at buying way too much yarn, I'm bad at saving money, I'm a sucker for buying patterns I may never use. There is a lot of struggling. But without struggling you would not be successful. I struggle sometimes to push forward, but I know if I don't continue to push I will go nowhere!! What advice do you have for someone who is just starting in the craft business? Advice for someone starting out... Practice and patience. It takes practice to be successful, the more you practice the better your products will turn out. Patience is a must. Without patience you will get nowhere. Even when you feel like business is slow, if you are patient, people will come when you are least expecting it!! Don't be afraid to put your name out there like I was in the beginning!! Who is someone you admire in the craft business? Someone I admire in the craft community would be Tera from Trifles N Treasures!! 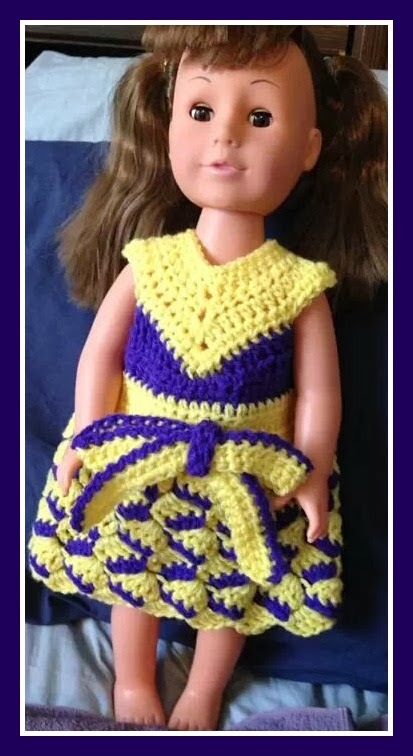 I just love the passion she has about crocheting. She gets an idea and within minutes, she has a pattern. 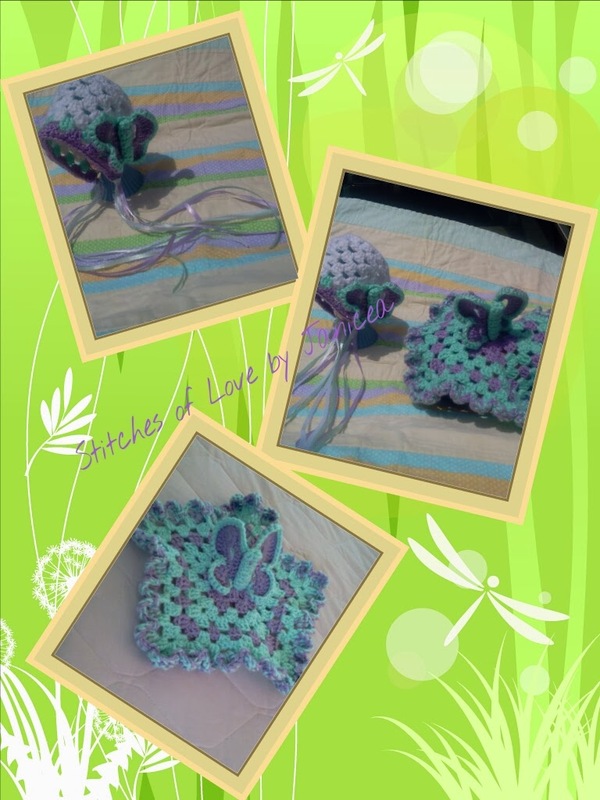 I love how easy her patterns are to follow and I love how much she has branched out (pun intended) with making the wooden crochet hooks. She is the friendliest most caring person ever. She has the biggest heart and is not afraid to help someone out!! She has encouraged me so much when I have been down and felt like giving up!! I recommend everyone to go buy ALL her patterns!! And...I have to agree with her - Tera is a wonderful person and hopefully I will be able to feature her in the near future! going to the store, standing in an isle full of many yarn variations and colors? I must admit that I'm a creature of habit and I tend to stick with using the same brand/type of yarn for a good amount of time. 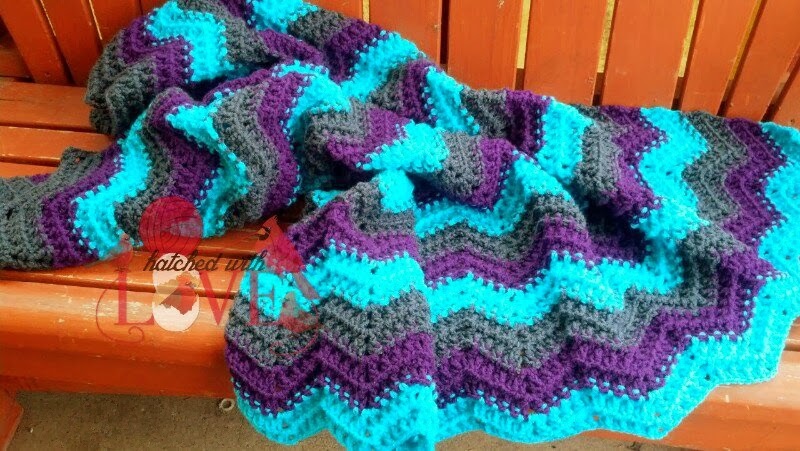 When I first started crocheting (many, many moons ago) I only made afghans and because I was only 10 when I started, I used what was the least expensive which was Red Heart Super Saver yarn. 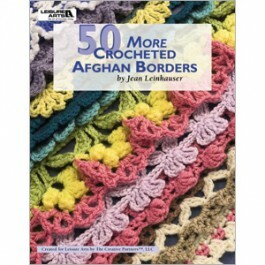 I really like this yarn for afghans because it is warm and easy to work with and has such a huge variety of colors. 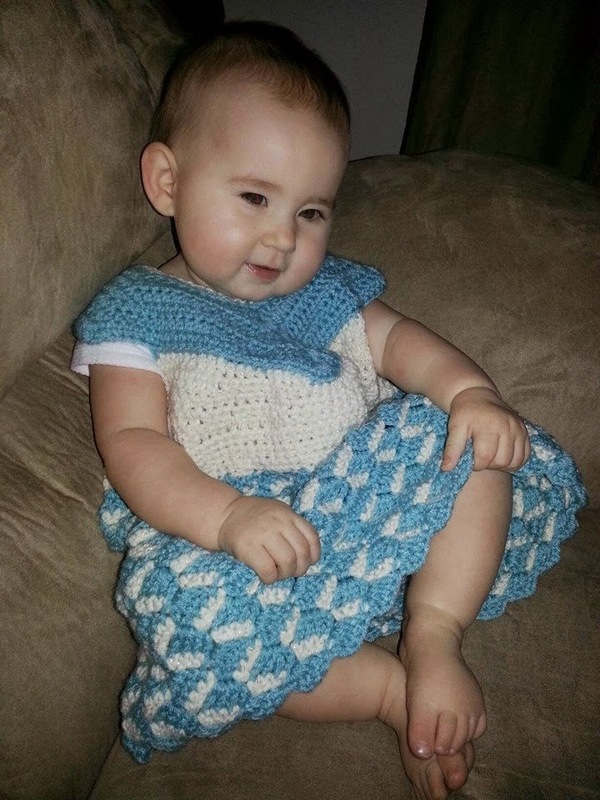 As I started designing baby clothing, I didn't want such a think yarn and fell in love with Caron Simply Soft yarn. It is so nice to use something that I don't have to worry about it itching the baby's skin. The ONLY thing that I don't like about Simply Soft is that the threads of the yarn can split often and make it slightly more difficult to work with at times. 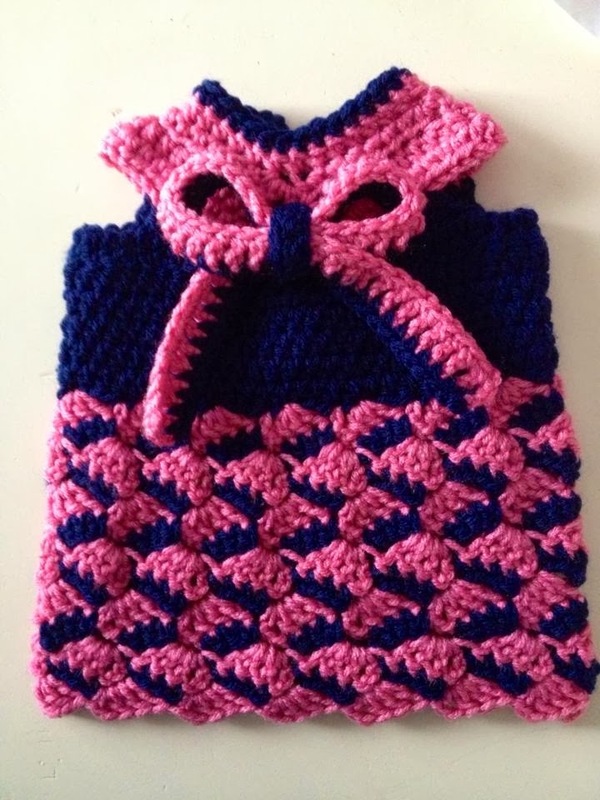 It does have some beautiful colors to choose from and I love making baby afghans with it too! 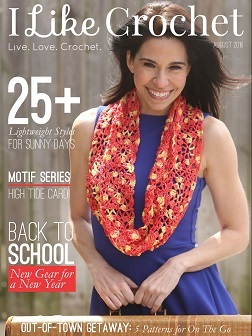 We can't forget about the fun Boutique Sashay yarn! I thought the scarves were really pretty that everyone was making with it - but I HAD to try something different with it!! I absolutely love how these dresses turned out and my girls are still wearing theirs often and still get compliments every time. Then Summertime came and I needed to use something that would not be to hot to wear and I tried out. I had tried Cotton at one point, but it seemed really stiff to me and hurt my shoulder to work with...Utill I tried Red Heart's Creme de la Creme. It is available locally and is easy to work with. It has such fun verigated colors to choose from and is reasonably priced. Now, I'm on to a new yarn...Red Heart Soft. It is pretty comparable to Simply Soft, but it doesn't seem to split like Simply Soft does. The plus side to this is that it is available in my local store also and Simply Soft is not. I am a huge fan of the deeper colors such as Burgandy, Navy Blue and so on. 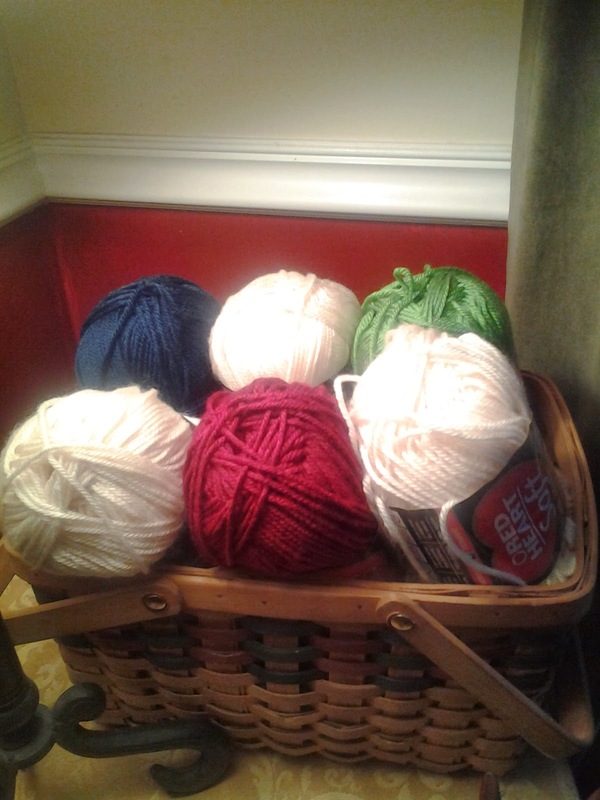 The shades available in this yarn are great and I will be using it more! So, How do you choose which yarn you want to use? What's today? It's National Pie Day! Oh my goodness! I LOVE pie. I'm not sure I have an actual favorite because there are so many that I like. Peach, Apple, Pumpkin, Lemon Meringue, Banana Cream, Coconut Cream, Chocolate...yep, I'm hungry just thinking about it. One of the best parts about Thanksgiving is my mom making her homemade pies. AND - I love to take the pie crust dough and sprinkle it with cinnamon and sugar and just bake strips of them to much on. Mmm Mmmm good! 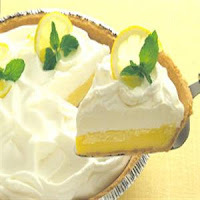 Now, have yourself a piece of pie and enjoy your day my friends! I started this design out with the idea of focusing on the big bow. As I kept making more dresses to write down the instructions for each size, I decided it needed a 2nd option. To play off the "ribbon" pattern of the skirt, I wrote up a pattern for the flower with curly ribbon. I think it is so fun! 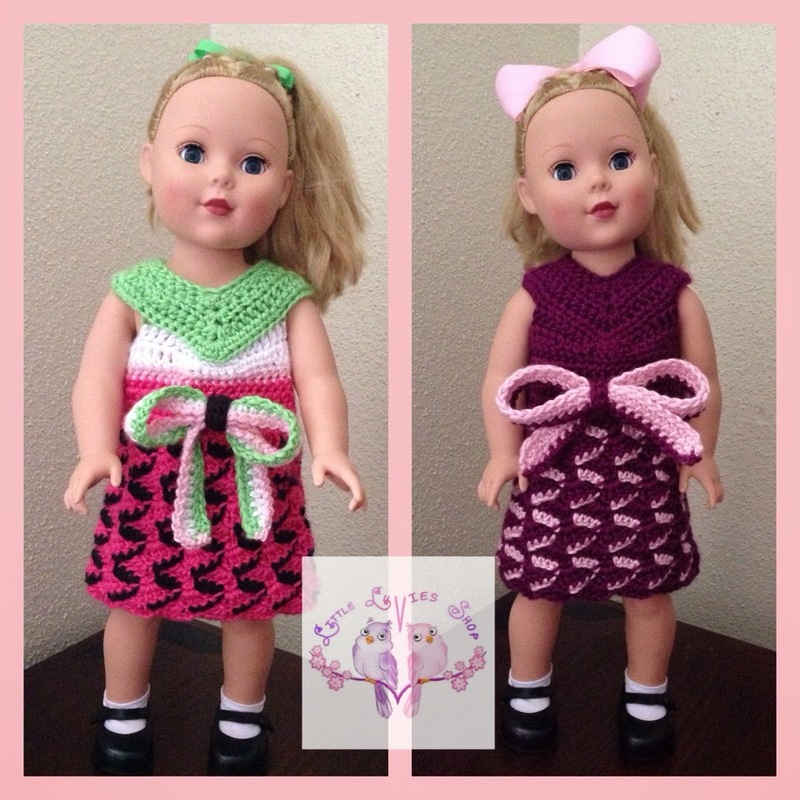 Both options are part of this pattern and the flower pattern with curls will also be available for free on Crafting Friends Designs website. 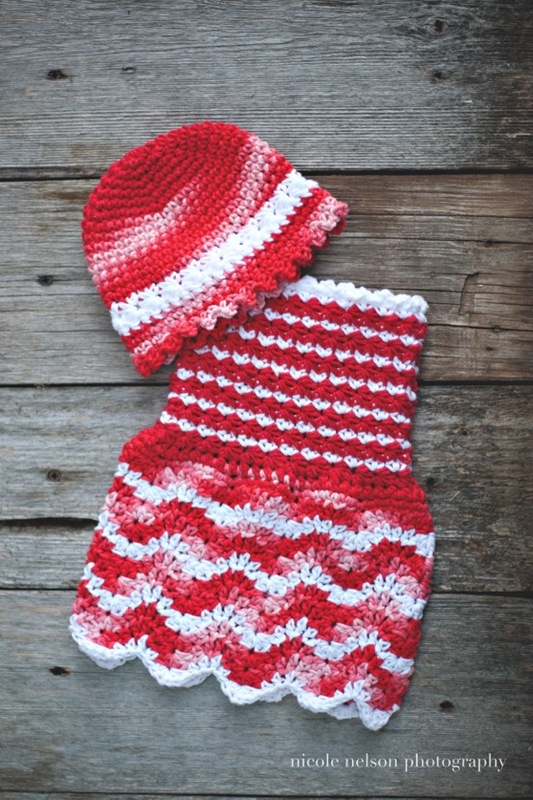 You can get the infant pattern at a sale price through January 25th by clicking the website link above. All patterns are instant download, so there's no need to wait for me to send them out. If you are a Raveler and like to keep your patterns in your Ravelry library, feel free to send me an email at craftingfriends4you@yahoo.com OR use the contact form on my site letting me know the email address you made your purchase with and I will gift the pattern to that email through Ravelry. Don't you just love seeing all the color combos that my testers come up with? 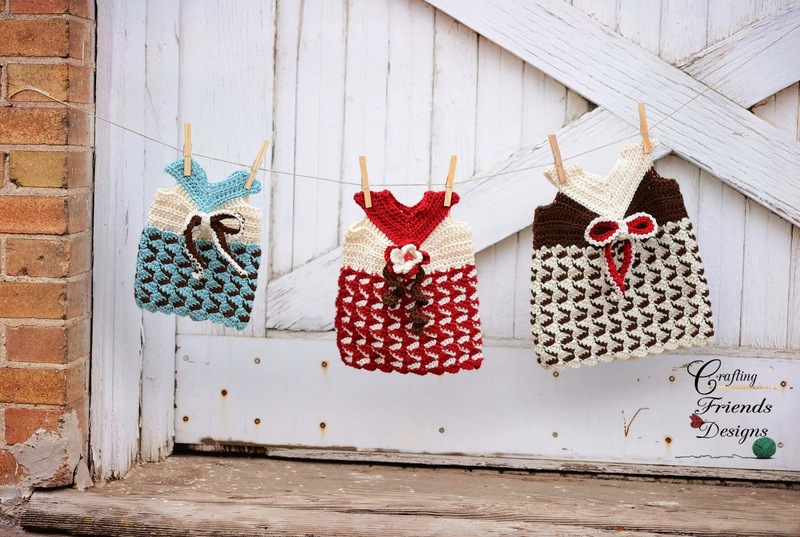 A HUGE Thank you to Stacy and Nancy for sharing photos of such darling babies in their dresses! 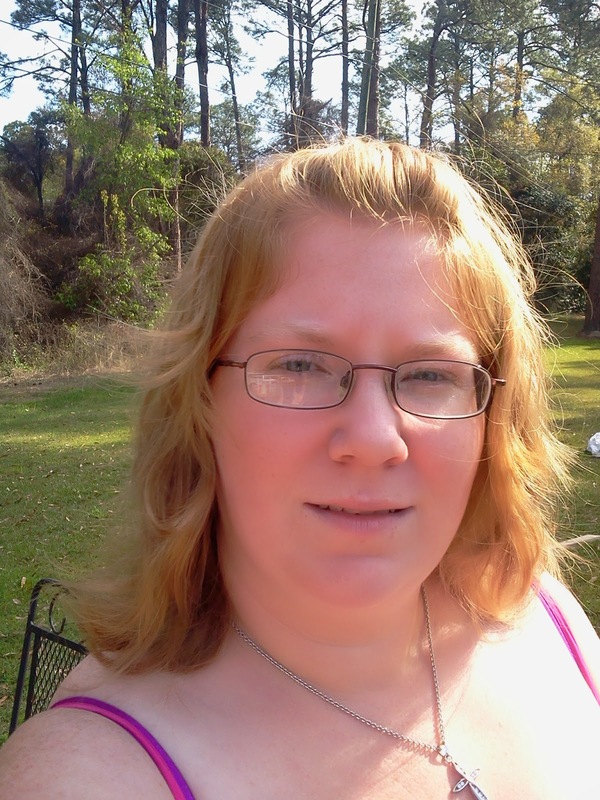 I am happy to introduce you to Janicea Stinchcomb. 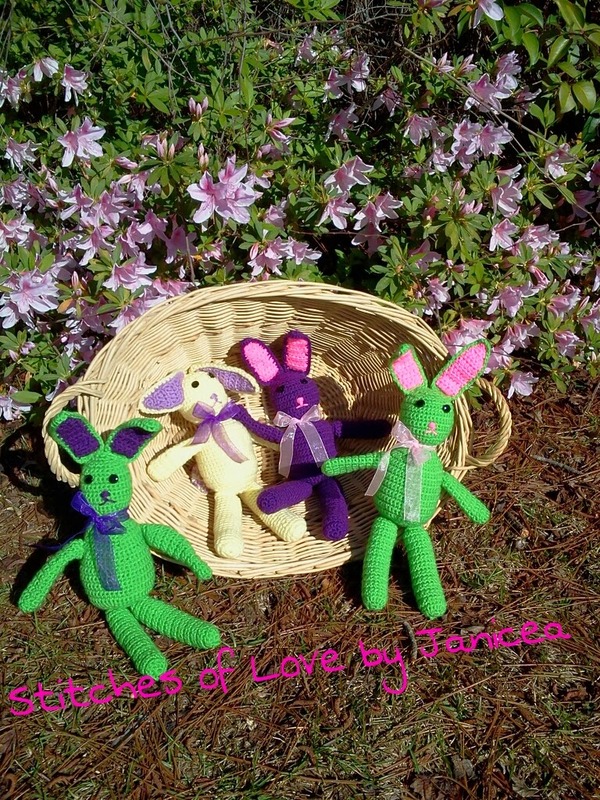 Janicea is the owner of "Stitches of Love by Janicea". She started testing for me last year and is great to work with. Here is a little bit about her to help you get to know her. What is your main focus of your business? 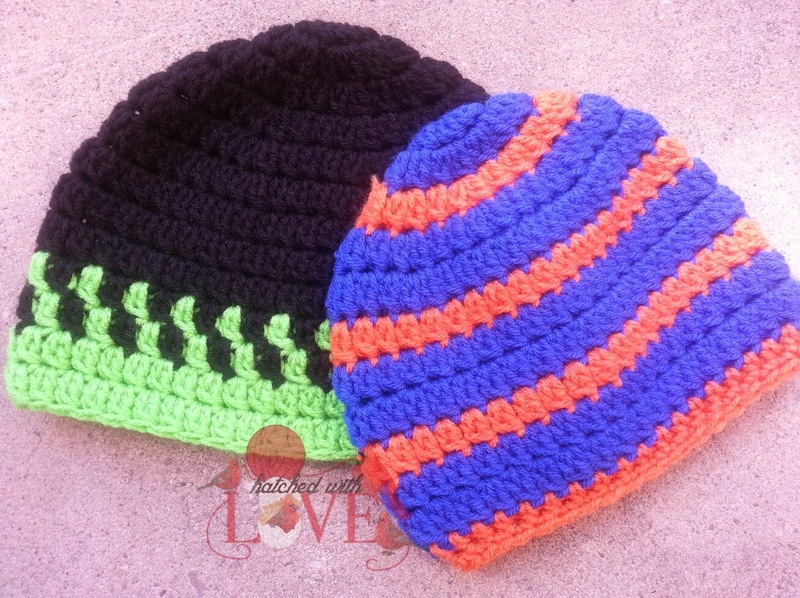 The main Focus of my business is made to order crochet items. I take special request for any item that you may need or want. I love creating new items to share with the world. I do eventually want to design more patterns in the near future. 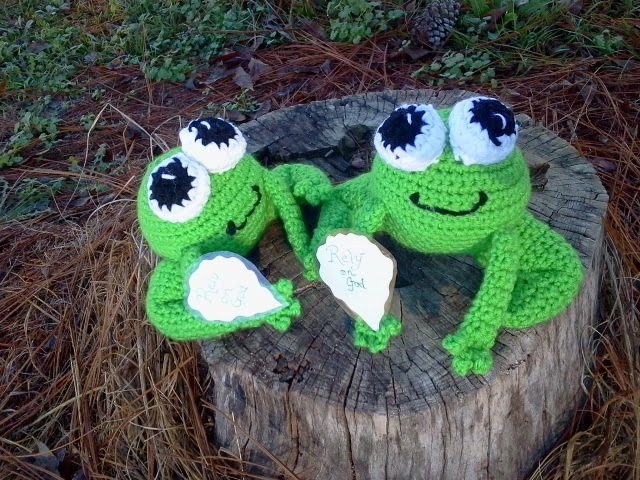 My greatest accomplishment was selling my first pattern which was this frog coaster. I know it may seem silly, but I was so proud of my self and I knew I could do it. It seemed like it would take for ever knowing there were thousands of choices out there but I DID IT! The one thing that I do struggle with is continued sales in ready made items and pattern sales. I live in South Georgia so the weather is not quite right for a lot of crochet warmth, and as we all no cyber advertising is not cheap. What advise would you give someone just starting out in the craft world? 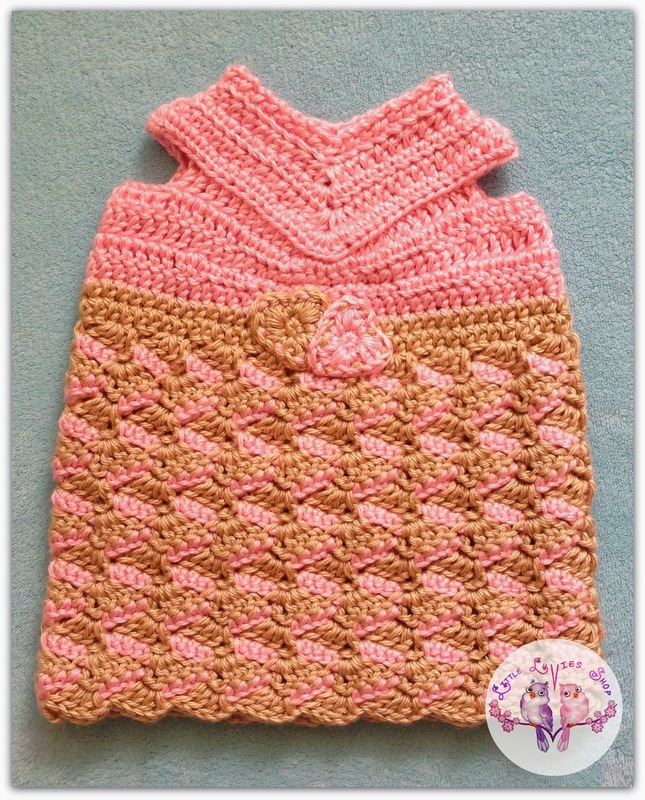 If you are just starting out in the crochet world don't be afraid to ask questions. There are still a few of us out here that are friendly crafters. I have not been in the crafting community to long but the one person that have met so far and have turned to for advice and I admire would be Kate Wagstaff. Kate is a honest person and if she can help in any way she will. She is an amazing designer and a friend! Thanks Kate for all you do! Months and Months ago, a friend asked me to create a pattern for this symbol. It was slightly out of my norm since this is not my religion, but I was up to the challenge :) Graphs are not my favorite thing to do since you often have more than 1 skein of yarn attached to the project at the same time. The other thing I'm not a fan of is that most graphs are worked in Single Crochet (it seems to take for ever to make things with). But, I have designed one before and I knew I could do it again. Now, when it comes to graphs, I know a bunch of people who use some software and just put the photo in and it will give you the graph. I personally do not trust that process. 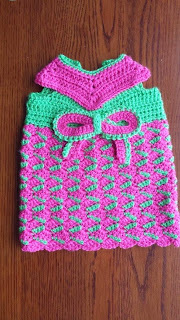 I've just seen a few things not look the way they should once crocheted even though it looks good on paper. 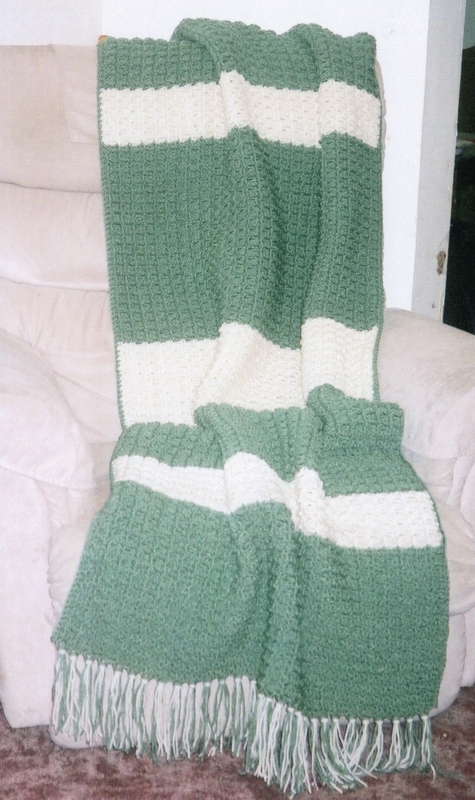 So, as usual, I actually worked up the project and made the adjustments as I crocheted. It was frogged a few times but overall, I'm happy with the end result. 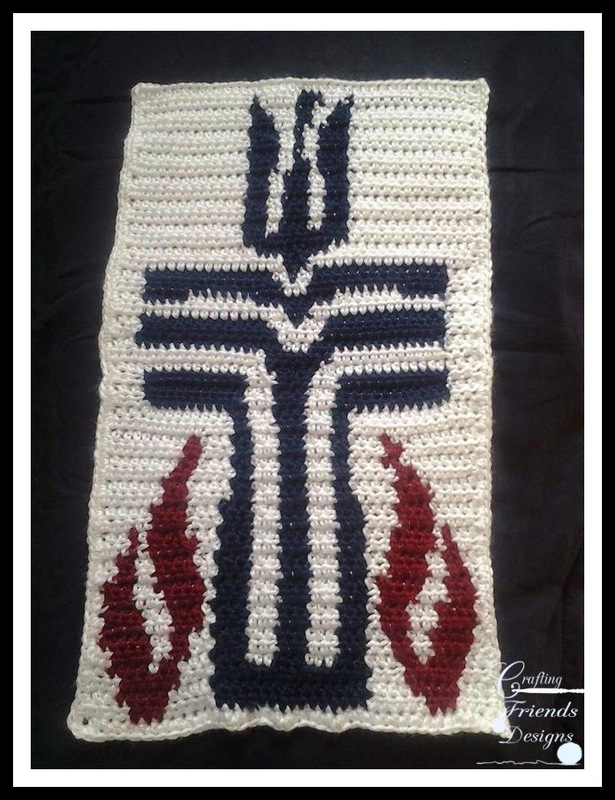 Since this is a Religious symbol, the graph is available for free on my website. It is only a graph of the symbol and not a written pattern for making a specific item. 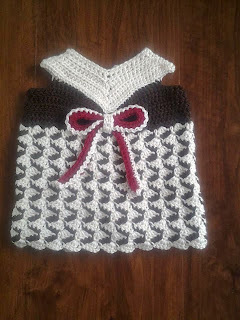 It could be used for a variety of things such as a scarf, wall hanging or pillow. I was designing it to be used by a preacher, so I chose to use Caron Simply Soft yarn. Because it's on the thinner side of WW yarn and it's soft, it gives a better feel for a scarf. It is so exciting to see things coming together. I have such a good feeling about this year! My latest design is quickly turning into the Ribbon Candy collection. I just can't get enough of this pattern and all the options. 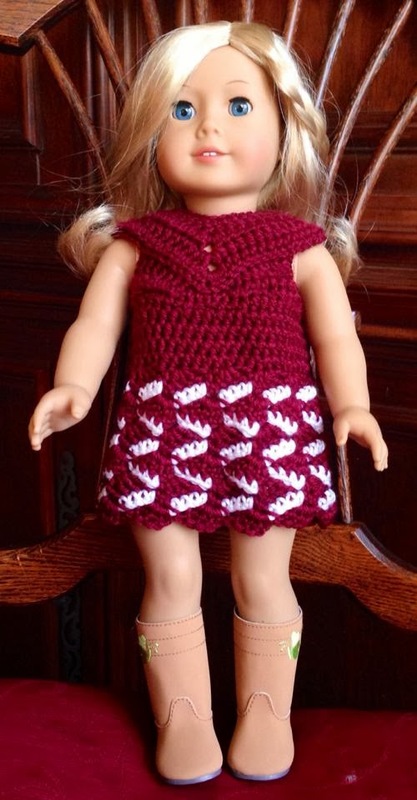 It started with the American Girl sized dress (which my girls love) and we are working on finishing up the infants sizes right now in order to release it this week. I'm just waiting for a little more feedback from testers and some wonderful photos from Ashlee Parkinson Photography and badah bing badah bang - it'll be ready! Here is a look at the fabulous work during the testing process. I love seeing all the color variations that these lovely ladies come up with! What do you think? What do you say to having some fun while we wait? 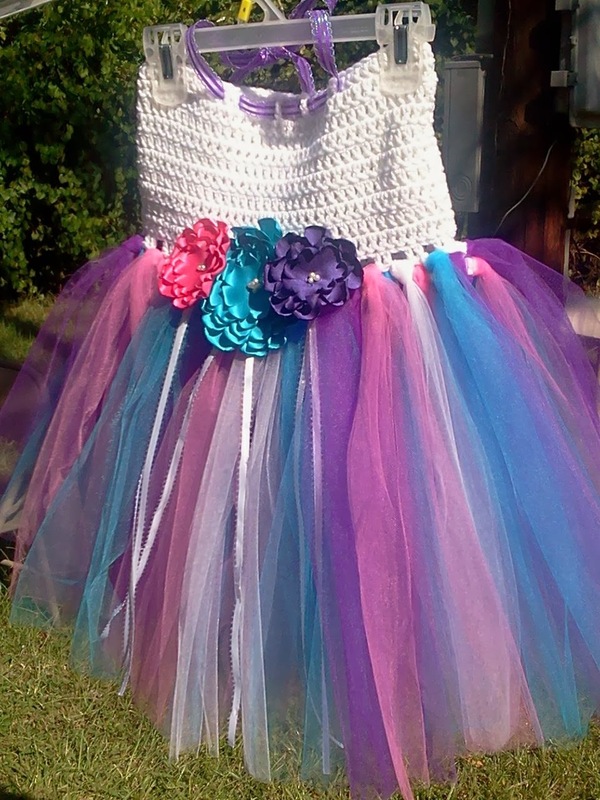 For your chance to win a free copy of the Infant size Ribbon Candy dress, Enter through Rafflecopter. You will need to leave a comment on this post letting me know what 2 colors you would use to make this dress and be a fan of Crafting Friends on Facebook in order to be counted. There are other options to earn extra entries, so don't miss out on that chance. NOTICE: If you comment as anonymous, you will need to add your name so that I can contact you if you win. 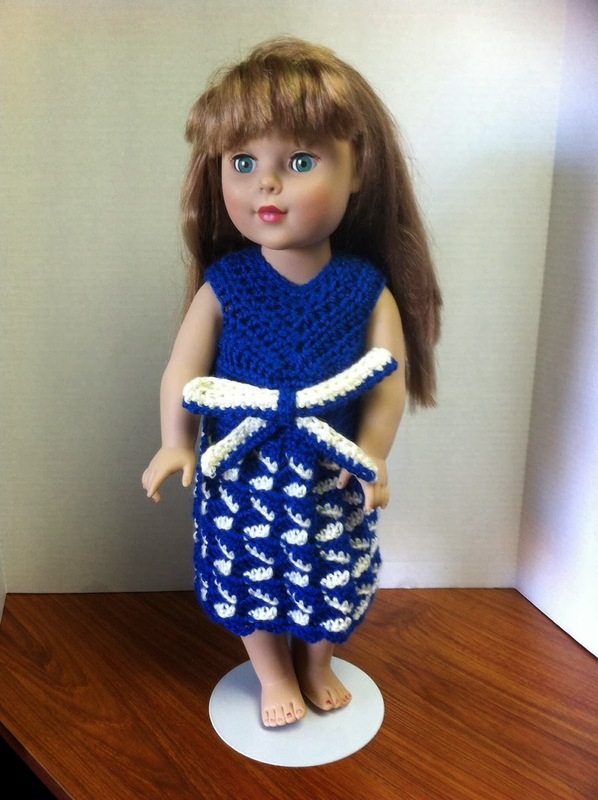 The 1st is the American Girl Doll Sizes dress which will fit any generic 18" doll and Preemie babies. 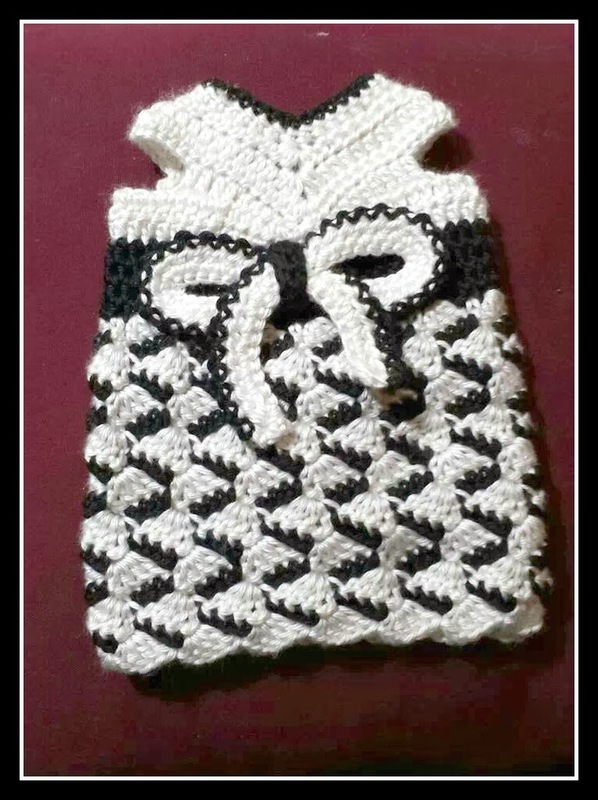 It is available for a discount through the end of this week on my website Crafting Friends Designs only. The Infant size dresses are being tested right now and Toddler and possible child sizes will be following shortly. 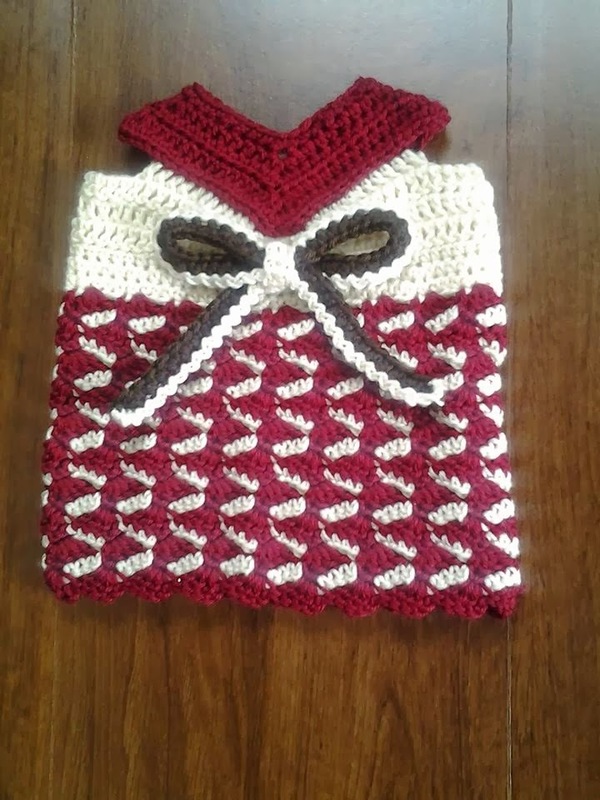 Along with the dress, I plan on designing a scarf and cowl to be in the same pattern, an afghan, possibly boot cuffs, leg warmers and a headband and maybe even the infant vest. So many ideas! Here are some of the dresses that were made by my wonderful testers. I love how switching colors on different rows will give this such a different look! Happy New Year my friends! I hope you all had a fabulous holiday season and were able to stay warm and safe. 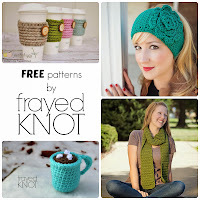 I am excited for the changes that are going on with Crafting Friends Designs this year. 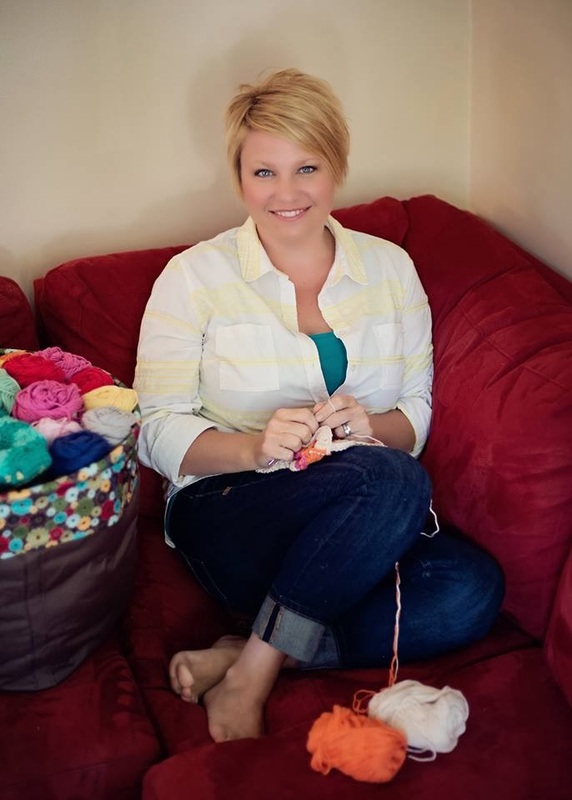 To kick things off, I would love to introduce you to an amazing friend and Crochet designer. I will be featuring the many talented people I have been blessed to meet through my business about twice a month. They give me the inspiration and sometimes strength I need to keep on pushing on. My main business focus is pattern writing. I want to continue to get better and better. I also want to push myself to learn more and to think outside the box. Currently I'm working on getting my website up and running and trying to make my business more cohesive. 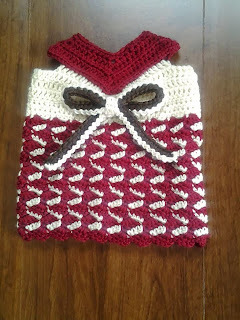 I started off crocheting and taking orders and now I found my niche in pattern writing. It's truly become a passion of mine! I think my greatest accomplishment would be having the opportunity to be a part of Design Wars. This venue has opened up so many doors for my business and made me want to be a better designer. Having the awesome experience of getting to know some of the "greats" in the crochet world and learning from them has been such an honor! When I was first approached when DW started I knew right away it was something I needed to be a part of. I was in a design funk and you can say it helped bring me back to life! My advice would be for anyone starting out, whether it's selling finished items or patterns, picture quality makes ALL the difference in the world! I would really encourage you to find a photographer you can work with or invest in a good camera and learn to take your own photos. You will be surprised the difference it will make and the more attention your business will receive. 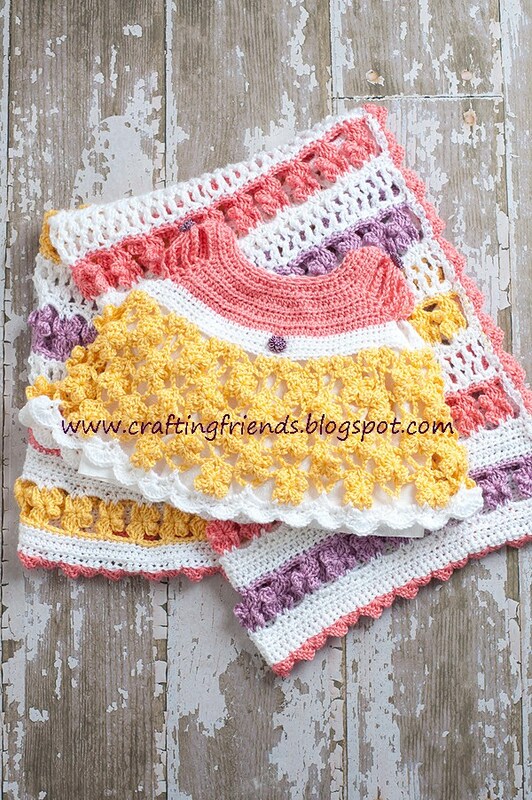 I really admire and adore Tara from Mamachee *Crochet Makes Me Happy!. I seriously want to be her when I grow up ;) Her designs are super fun and her patterns are extremely well written but behind all the gorgeousness of her work is an amazingly awesome lady! So nice and always willing to help and answer questions. So blessed to have "met" her! Isn't she Fantastic? Here are some links to help you enjoy her beautiful work and talent.